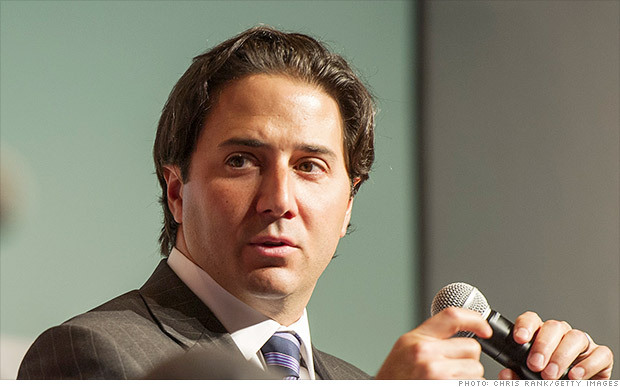 Michael Arougheti, president of private equity firm Ares Management, which filed to go public earlier this week. The once exclusive private equity industry continues to bet that average investors will want to invest in them. Earlier this week, Los Angeles-based Ares Management filed to raise $100 million in an initial public offering, though IPO research firm Renaissance Capital estimates that the company could wind up raising $400 million. The Ares IPO is the latest in a boom that began in 2007 when the Blackstone Group (BX) raised a staggering $4 billion in its offering. Since then, other heavy hitters including Kohlberg Kravis Roberts (KKR), Apollo Management (APO), and the Carlyle Group (CG) have also gone public. And despite uneven gains this year for these companies, which many still associate with the "Barbarians at the Gate" book from the late 1980s, private equity stocks have done extremely well since their debuts. Apollo shares have jumped 70% since going public in 2011, while KKR has soared 130% since its 2010 IPO. Carlyle, which went public in 2012, is up more than 60% from its offering price. By going public as the stock market has roared back from the depths of the financial crisis, private equity seems to have played its cards right. "Timing is important in IPOs and generally these guys know the market," said Donna Hitscherich, a professor at Columbia Business School. She added that going public has given the private equity giants access to more money to fund acquisitions and expand their business. While the recession took its toll on private equity returns, it also created unprecedented opportunities for the companies to make money. How? Companies unable to get bank loans during economic downturns will often turn to private equity, according to Dr. John Rutledge, a veteran private equity investor with Safanad Limited. "Private equity goes where the banks refuse to go during a credit crisis," he said. Throw in ultra-low interest rates and a rising stock market, and you've got a recipe for private equity success. That's because private equity firms often use sophisticated debt strategies to finance acquisitions and make loans. They'll then take those investments public, and in recent years have capitalized on soaring stock prices and hot IPO demand. Case in point: Blackstone's December 2013 Hilton IPO. Soon after Blackstone bought Hilton (HLT) in 2007, the hotel chain began suffering from a sharp tourism slowdown as a result of recession, and the deal looked like a colossal money-loser for Blackstone. But with some crafty debt restructuring and an improving economy, Blackstone turned it around, taking home a reported paper profit of $10 billion from the IPO. And investors are betting Blackstone can continue to bring home big paydays. Its stock is up over 75% in the past year. But should regular investors buy shares of companies like KKR and Blackstone? It depends. For some investors, the huge dividends that the private equity firms pay could make them attractive. KKR's dividend yields more than 8% for example, while Carlyle's is a whopping 16%. Still, Rutledge thinks that the continued economic recovery in the U.S. will make it tougher for the private equity firms. If banks become more willing to extend credit to companies and more private firms seek to go public, there may be fewer investment opportunities available. With that in mind, Rutledge said he wouldn't be surprised to see some of the publicly traded private equity firms re-emphasize the first part of their industry name and once again go private.